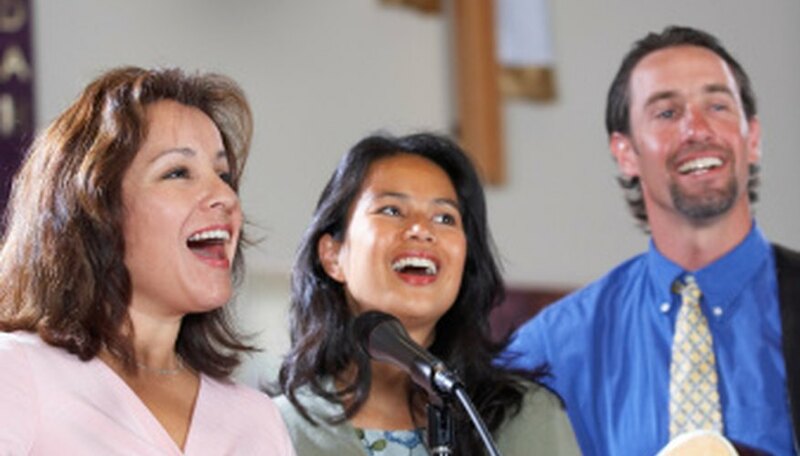 Easter Sunday is a revered day in the Catholic faith, and a day when many worshipers visit the church and attend mass. The day marks the end of the Lenten season, which is characterized with the color purple and a scarcity of church decor. Decorate the church, on this most celebrated day in the Catholic church, with lilies, white altar cloths and candles to evoke renewal, hope and light. Set pots of Easter lilies on the altar steps and around the altar. Lilies are a traditional Easter flower symbolizing a return from the darkness of the Lenten season, new life and hope everlasting. Create a cross of lilies and place at the entrance to the church. Place lilies under the crucifix, symbolizing Christ's resurrection. 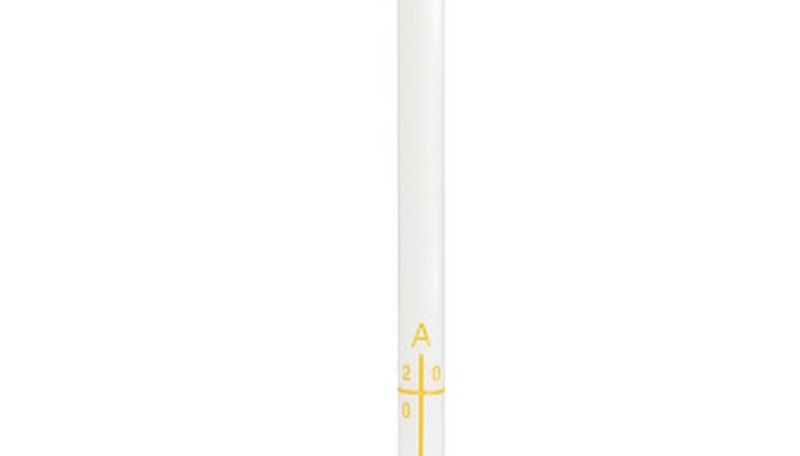 Place the Paschal candle on a high candlestick near the altar table. The entire congregation should be able to see the candle from anywhere in the church. Keep the candle burning 40 days after the Easter season has ended. The candle symbolizes Jesus and his role as the true light, as well as his ability to dispel the darkness. Hang Easter banners on the altar. Choose resurrection motifs and meaningful statements. "I Am the Resurrection and the Life" is a pertinent sentiment for Easter. Banners also can be placed in the church near the congregation. Place the Easter linens on the altar and covering the tabernacle. Typically, they are white and gold, symbolizing renewal and hope. Lay out the vestments for the priest. They specially will be designed for Easter and in the colors of gold and white. Place candles in candelabras on the altar table and on the altar floor. The candles should white and made of beeswax. Blessed candles can be found in the sacristy. Candles smaller that the Paschal candle are used to symbolize the individual Christians who want to let Jesus into their lives. Place a white linen stole over the arms of the crucifix. This signifies the celebration of life over death. 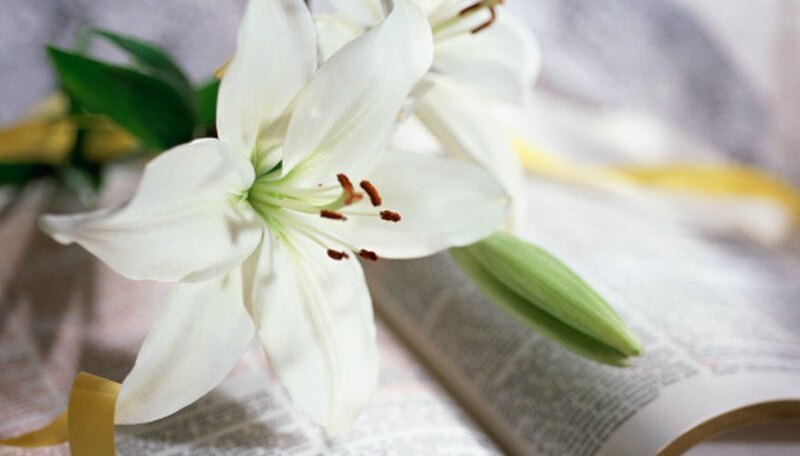 Place white bows or sprays of lilies on the ends of the pews. Lay a white runner down the aisle for the Easter procession. 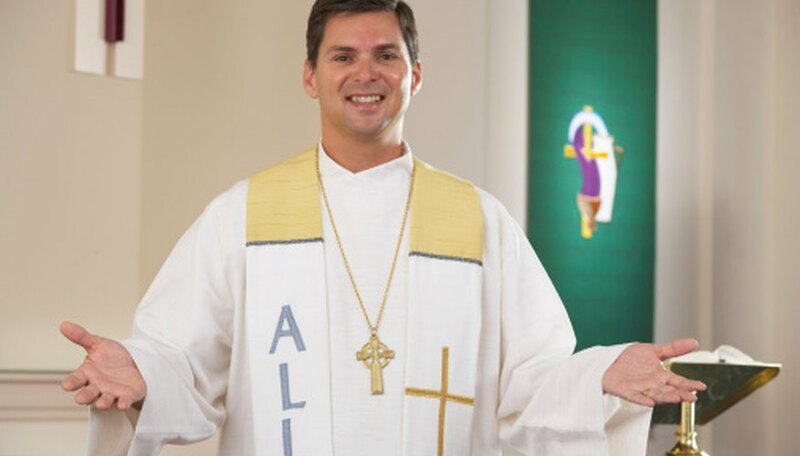 Why Catholics Do That: Why Do Catholic Priests Wear Vestments (Colorful Robes)?